The longer I live, the more I realize that life really is what you make it. I don’t want to get too political here because that’s not what my blog is about, but all this talk about McDonald’s employees demanding to make $15/hr just makes me realize how important it is to make good choices in life, my point being that working at McDonald’s is a job that is intended for teenagers, college students, or others who are just trying to supplement their income. It’s not meant to be a CAREER. It’s not meant to be a job on which you support a family. As cruel as it may sound, this kind of job just doesn’t require anywhere near the skill or expertise to justify paying someone $15/hr. 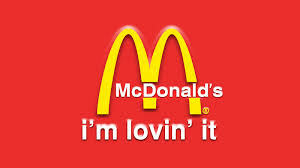 And if you think it does, trust & believe that if the minimum wage is really increased to $15/hr, the fast food moguls will very quickly find a way to replace human beings with machines or robots that do not require salaries or benefits. That’s just how capitalism works, folks. But this isn’t a post about minimum wage or workers’ rights or anything like that. Rather this is a post in which I want to reaffirm my belief that as adults we alone our responsible for the trajectory of our own lives. Now obviously we cannot control everything that happens to us. We can all think of dozens, if not hundreds, of examples of bad things happening to good people (& vice versa), & these examples all serve as evidence that the world can, at times, be a most cruel & unjust place. On the other hand, whether we like it or not, if we’re honest with ourselves, it’s quite clear that for the most part our lives turn out the way they do because of the choices we make. Let me be clear in saying that this does NOT mean we should not have compassion & empathy for those whose lives have turned out less than desirable. Far be it from any of us to look down on anyone else because of their station in life. At the risk of offending a lot of people, I’m going to just put this plainly, as I see it. I think a lot of the world is in turmoil because people are waiting for a savior; they’re waiting for God to fix their problems & the problems of the world. The old cliché “Good things come to those who wait” is nonsense. 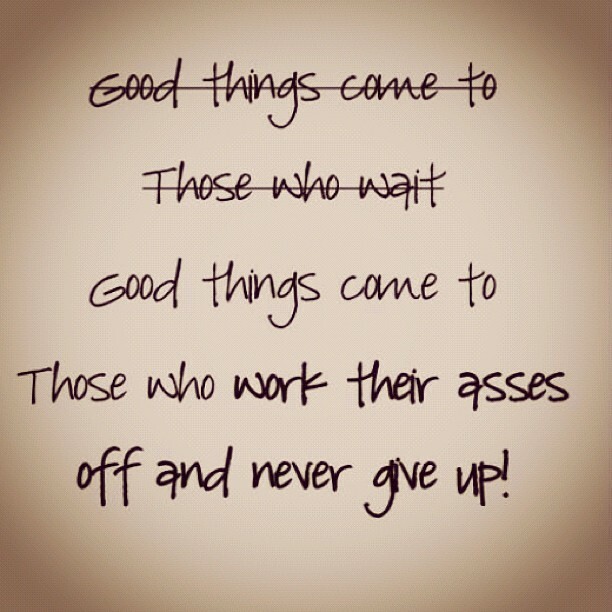 The truth is good things come to those who works their butts off & never take no for an answer. In reality, WE need to fix our own problems because we actually DO have the power to change our lives. Furthermore, if we each have the power to change our own lives, then it follows that collectively we have the power to change the world. I’m smart enough to realize that there will never be a utopia on this planet. But I’m also optimistic (or maybe stupid/naïve) enough to believe that the world CAN become a better place, if only we claim the power within ourselves to make it so. When all is said & done, I truly believe none of us can blame anyone else for our position in life. Certainly our parents, families, friends, & the society in which we live influence us in many ways, some good, some bad. But as living, breathing, thinking adults we alone are responsible for our own decisions & for living with the consequences of those choices. Trust me, I fall into the trap of trying to blame other people or life circumstances for my own short-comings more often than I’d like to admit. That’s just part of being human. The point is not staying in that trap but rather being honest with ourselves & learning to hold ourselves accountable for the decisions we make. It’s not an easy process & it’s one that takes a lot of practice & a lot of self-discipline. But if we want to succeed & enjoy this crazy journey called life as much as possible, it’s a process that is absolutely essential. In summary, here’s my challenge to you (& to myself obviously): Be brutally honest with yourself. 1. What is it about your own life that you dislike? 2. 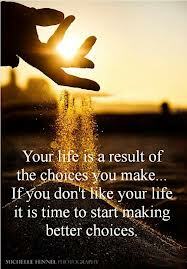 As hard as it may be to admit, what choices have you made that have led you to your current position in life? 3. 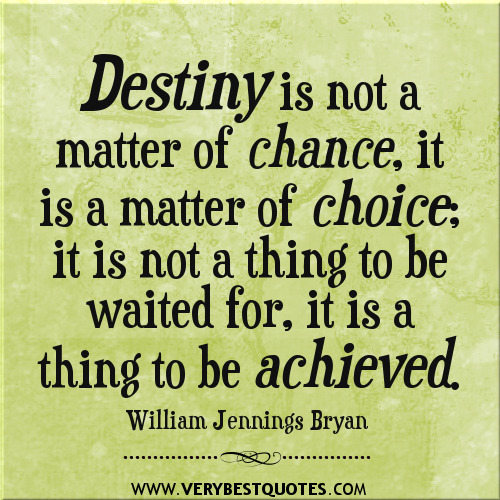 What could you do differently to obtain a better outcome? 4. Lastly, as we all know “no man is an island,” who can you enlist to help hold you accountable for making better decisions? As we’ve already discussed, ultimately you alone are responsible for your own choices, but it sure does help to have a friend walking along with you. Here’s to soul-searching & asking the hard questions. Cheers! 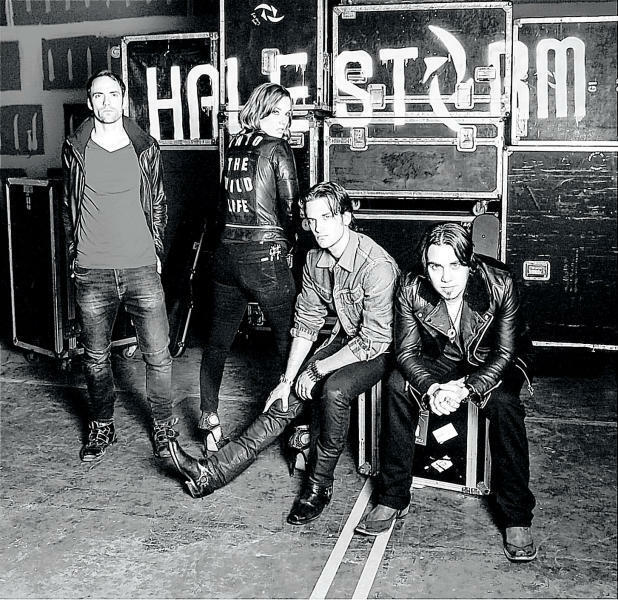 If you need a little inspiration on your journey to taking full responsibility of your life, check out this empowering song from the amazing new Halestorm album that just debuted last week. (The entire album ROCKS, by the way!!) This song was in fact the major inspiration for this post. You are so right, choices do matter. 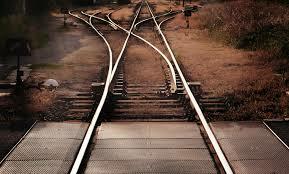 Even if we sometimes make wrong choices, we can certainly turn our lives around and change our fate. I absolutely do believe that life is what we make it. Those who honestly work hard will succeed; but trusting in God and seeking His will has everything to do with our happiness. I agree with you, no one is to blame for our own shortcomings, we make our own decisions and carve out our own path. Even God ask us to use our hands for working and not to be idle. I am waiting on the Saviour, Jesus Christ, our hope and salvation. He is the Way, the Truth and the Life. (John 14:6) God wants us to have life and have it more abundantly (John 10:10) He truly wants us to succeed, but that means working hard to obtain it. Even though I’ve always worked and supported myself, I am smart enough to realize that I need God every day and that I don’t do it alone. His mercies are new everyday. As you said, the great thing about life is that we’re able to turn our lives around once we realize we have the power to do so. It’s hard to admit when we’ve made mistakes but until we do so we’re stuck on the wrong path. Thanks for reading! Agree with you completely about choices ( the album not too sure..sorry) As a parent a huge dilemma you face is when you let your children make their own choices, I’m not talking about which chocolate to buy but the big ones that affect their lives. I hope teaching them values and respect for themselves and each other will help with those choices.